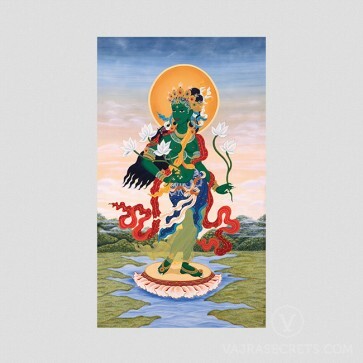 A canvas printed thangka of Standing Tara, one of the forms of the popular female Buddha, Green Tara. 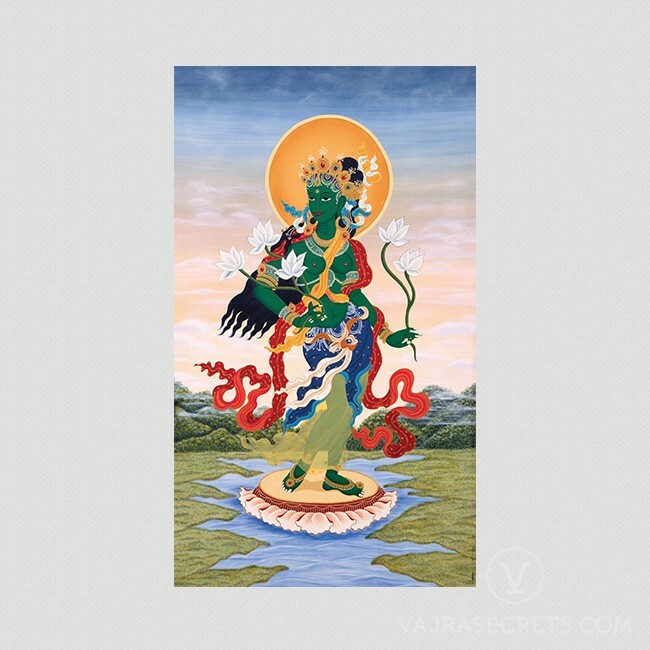 A canvas printed thangka of Standing Tara, one of the forms of the popular female Buddha, Tara. Tara is depicted as a young 16-year old maiden standing gracefully upon a lotus. She wears an elaborate crown ornamented with jewels on her head and holds multiple white lotus blossoms in both hands.